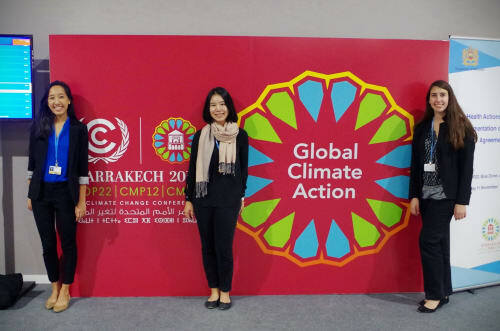 One of the most life-changing experiences Emory University has to offer undergraduate students is the opportunity to serve as a delegate at the annual United Nations Framework Convention on Climate Change’s (UNFCCC) Conference of the Parties (COP). The yearly conference brings together diplomats, business leaders, heads of government, and other political and civil activists to discuss environmental issues and action on climate change. Each year Emory sends a delegation of 6-12 students and a couple of faculty members to the climate negotiations. Attending the UN COP allows students to experience policymaking on an international scale. It also gives them the opportunity to meet and hear from scientists, diplomats, and activists from across the globe; learn about cutting-edge research; and benefit from diverse learning opportunities that cannot be found inside a classroom. As only one of 50 American universities with official observer status at the UN COP each year, Emory’s presence at these negotiations is a statement to the world of our commitment to advancing climate change scholarship, teaching, and engagement on our campus and beyond. There is currently no funding for Emory’s UN COP delegation program, and students are responsible for covering their own costs. We believe opportunities such as this should not be limited to students with the means to finance an overseas trip. Emory aims to build delegations of environmentally passionate students who are diverse in terms of socioeconomic status, race and ethnicity, research interests, and other aspects of identity. Emory alumni and friends can play a tremendous role in making this experience possible for current and future Emory students, regardless of financial means. Participating students have described UN COP as a life-changing experience, one that defines their Emory education. Your gift will help provide crucial support for exceptional students who wish to have a similar transformative experience but cannot due to financial limitations. 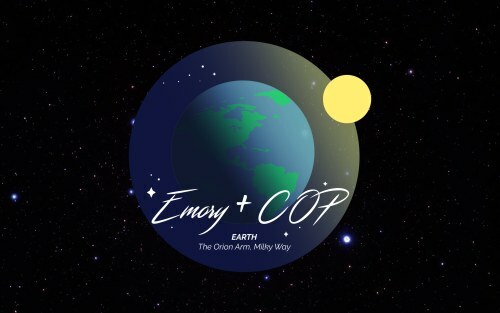 Funds raised will help offset travel costs for students and faculty members to this year’s UN COP in Bonn, Germany, and will allow Emory to continue showcasing its commitment to the environment and climate change on the world stage. The first 100 donors to our campaign will receive, along with our gratitude, a limited edition Emory COP delegation sticker. 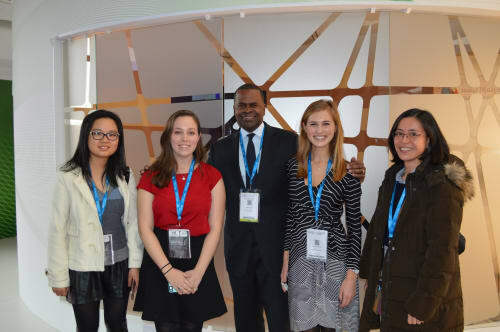 Empower the next generation of climate leaders by supporting Emory’s UN COP delegation! The troposphere is the layer of the Earth’s atmosphere close to the surface in which we live. Your gift of $25 can support a meal of a delegate in Bonn, Germany in November 2017. The stratosphere contains much of the atmosphere’s ozone, which absorbs ultraviolet (UV) radiation. Your gift of $50 can support two meals of a delegate in Bonn, Germany in November 2017. Existing between the stratosphere and the thermosphere, the mesosphere is 50 to 80 km in altitude above the Earth’s surface. Your gift of $100 can support one night’s lodging for a delegate in Bonn, Germany in November 2017. The thermosphere is higher in temperature than underlying layers of the atmosphere, as it absorbs X-ray radiation from the sun. Your gift of $250 can support two night’s lodging and two meals for a delegate in Bonn, Germany in November 2017. The ionosphere overlaps with the thermosphere, beginning 80 km above the Earth, reflecting and absorbing radio waves. Your gift of $500 can support five night’s lodging for a delegate in Bonn, Germany in November 2017. The exosphere begins 500 km above the Earth’s surface, containing mostly hydrogen and oxygen atoms. Your gift of $1,000 can support a delegate’s full week of meals and lodging in Bonn, Germany in November 2017. You have achieved the necessary escape velocity to leave the Earth’s atmosphere and blast off into outer space! 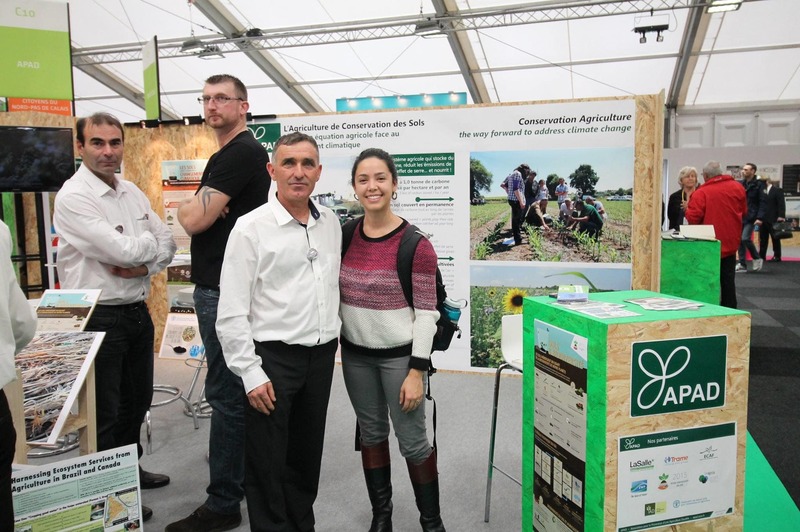 With your donation of $3,000, you can fully sponsor a student delegate, faculty member, or researcher to attend the next COP meeting, including airline flight, in Bonn, Germany in November 2017.